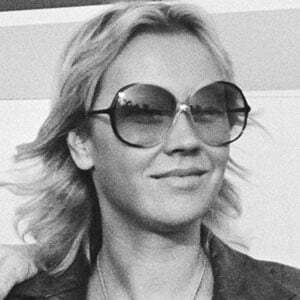 Swedish singer who joined husband Bjorn Ulvaeus in ABBA, the group known for songs like "Dancing Queen." Her first band fizzled out, but she decided to leave school at fifteen to pursue music anyway. The second best-selling band in history, her group ABBA has sold over 375 million records worldwide. She married Bjorn Ulyaeus on July 6, 1971 the couple had a son named Peter and a daughter named Linda before divorcing in 1980. She later married Tomas Sonnenfeld on December 15, 1990 but the couple divorced in 1993. In 2004, she did a cover of "My Colouring Book" by Dusty Springfield.